It is the goal of Magtech Ammunition and the CBC Group to provide customers with the highest quality ammunition products and services. Quality and continuous improvement are the guiding principles for each and every employee which has resulted in high quality products and services that have established a loyal and satisfied customer base consisting of military, law enforcement, hunting, self-defense and sport shooting enthusiasts. Magtech employees are committed to generating positive customer experience. The CBC Group consists of four internationally recognized ammunition brand names: CBC, Magtech, MEN, and Sellier & Bellot. Numerous manufacturing plants and distribution facilities are located in Brazil, Czech Republic, Germany and the United States. Ranks amongst the largest small arms ammunition producers in the world. Production in excess of 1 billion rounds per year. More than 3,000 qualified employees worldwide. ISO 9001:2008 and AQAP 2120 certified. Military brands are CBC, MEN and Sellier & Bellot. Law Enforcement brands are Magtech, MEN and Sellier & Bellot. Commercial brands are Magtech and Sellier & Bellot. Sellier and Bellot is the oldest operating ammunition company in the world. Sellier & Bellot ammunition company was established in 1825. CBC ammunition company was established in 1926. MEN ammunition company was established in 1957. 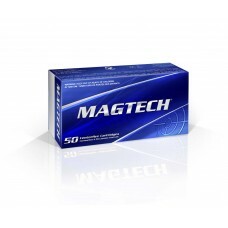 Magtech ammunition company was established in 1990. CBC, Magtech, MEN and S&B ammunition products are sold in more than 90 countries. The CBC Group is one of the few ammunition companies in the world that has capabilities in producing ammunition products to U.S. Mil., NATO, SAAMI and CIP specifications. Sellier & Bellot is one of the few ammunition company s in the world to produce paper hull shotshells. Magtech is one of the few ammunition company s in the world to produce brass shotshell.